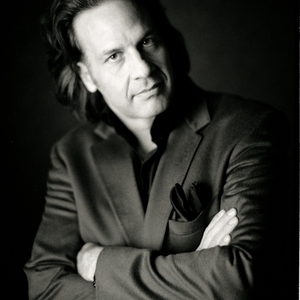 Kurt Bestor is an American composer, arranger, and performer. He was born in Waukesha, Wisconsin, and raised in Orem, Utah. His grandfather played trumpet in Tommy Dorsey's band and his great uncle played trombone in Jack Benny's band. Kurt Bestor has released over a dozen CDs including several Christmas CDs. His Christmas concerts have become an annual Utah tradition since 1988. Bestor, in conjunction with Utah composer Sam Cardon, released a CD, Innovators, in 1995, and a sequel in 2001. Kurt Bestor has released over a dozen CDs including several Christmas CDs. His Christmas concerts have become an annual Utah tradition since 1988. Bestor, in conjunction with Utah composer Sam Cardon, released a CD, Innovators, in 1995, and a sequel in 2001. Innovators contained probably his most famous song, Prayer of the Children which was written in memory of the children of Yugoslavia in light of the Yugoslav wars. In 2005, Bestor began hosting a morning radio talk show, geared towards women, on KUTR 820 AM in Salt Lake City, Utah. He has also composed music introductions for numerous television programs, including Good Morning America and Monday Night Football.